April 27, 2009  During its four-year run on NPR, This I Believe engaged listeners in a discussion of the core beliefs that guide their daily lives. We heard from people of all walks of life — the very young and the very old, the famous and the previously unknown. April 26, 2009  Novelist Amy Tan hasn't always believed in ghosts, but as a writer she's had too many inspirations that she can't fully explain. Now, Tan embraces her belief in ghosts and the messages of joy, love and peace they bring her. April 23, 2009  Mexican-American novelist Luis Urrea used to think that simply being a good observer would make his writing better. But over time, he's come to believe that being a good writer and a good person comes from paying attention to the world around him. April 12, 2009  A few years ago, Eve Birch was broke and living alone in a dilapidated mountain shack. But a community of people befriended her, shared what little they had with her and showed Birch the value of neighbors uniting to help one another. 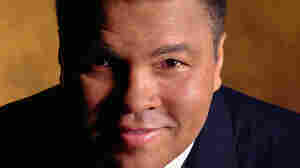 April 6, 2009  To be the "Greatest of All Time," boxing legend Muhammad Ali says you have to believe in yourself. It's a lesson his parents taught him and it has helped him in fighting Parkinson's disease. March 29, 2009  Matt Harding has been to 70 countries to dance — badly — in front of a camera, and videos of his travels have become an Internet sensation. Harding believes interacting with so many different people challenges him to understand what unites humanity. March 26, 2009  Environmental activist Van Jones is a special adviser to the Obama administration. He says his dad, who died last year, would have gotten a kick out of seeing Obama become president. But his dad had high standards, and there is much more work to be done. March 15, 2009  Macklin Levine was born more than 25 years after the Fab Four broke up, but at 12, she has a deep appreciation for Beatles music. "As old as the songs are, you can learn a lot about yourself from the lyrics," she says. And the Beatles help her remember her Dad, too. March 5, 2009  Jennifer Thompson-Cannino was certain that Ronald Cotton was the man who raped her in 1984. But she was wrong. After Cotton spent 11 years in jail, DNA evidence proved his innocence. Now, the two have a friendship based on their belief in forgiveness. March 1, 2009  When he was 12, Russel Honore got his first job helping a neighbor milk 65 dairy cows twice a day. Fifty years later, the retired Army lieutenant general believes hard work helps build character, strengthen communities and promote freedom. February 26, 2009  Scientist Sheri White says that despite differences in size, shape and color, all humans are 99.9 percent biologically identical. White believes we should embrace our similarities and honor the differences that make each of us unique. February 23, 2009  Dan Gediman, executive producer of NPR's This I Believe, explores the archives of the original series hosted by Edward R. Murrow in the 1950s. He says the essays shed light on the realities of segregation at the dawn of the civil rights movement. Gediman explores the 'This I Believe' archives. February 15, 2009  Chameli Waiba was raised in a village in Nepal and didn't attend school as a child. When she finally learned to read as an adult, Waiba discovered the power words could have to change her life, as well as the lives of others in her rural community. February 9, 2009  Kendra Jones assigned her students to write This I Believe essays and decided that she owed it to them to write one of her own. Jones believes toughness, steeliness and even meanness have helped her throughout her life. February 8, 2009  In an essay from 1951 for the original This I Believe series, Margaret Mead says she can't separate the beliefs she has as a person from the beliefs she has as an anthropologist. She says that humans have a responsibility for the entire planet.